First let me show you how to play the riff that opens the song. 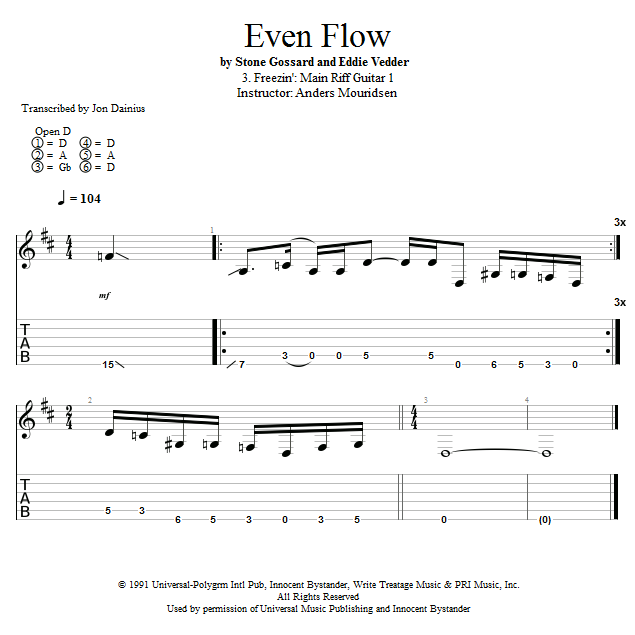 This riff is played by both the guitars in two different octaves, so let's first break down the low part played by the rhythm guitar in the open tuning. The open D tuning, from low to high, is D - A - D - F# - A - D. Because we stay on the bottom three strings for this riff, you can play this part in regular drop D tuning as well.